Tag Archives for " Microsoft "
An event occurred recently that was widely covered in financial and tech circles, but the significance of which may have been lost on most. Apple’s market cap rose slightly above Microsoft’s, making it the largest tech company in the world. Now, market cap is based on current stock price and is a lousy measure of things to come and this is by no means a post about good and bad investments, but to me it marks a point in time that clearly points to the path we’re headed for the next decade or so. Apple, on the verge of extinction in 1996, rose up with laptops, but then bet the farm on hand held devices and applications. Apple now makes the bulk of its revenue from iPods, iPhones and iTunes – in fact, it would be safe to suggest that Apple is not really a computer company. Apple built its store right next to the new freeway off ramp (the mobile freeway that is) and has benefited through this location dramatically. As computers and even web browsers continue to lose significance by yielding ground to mobile devices and applications Apple is positioned to dominate for years to come. In the application world social networks like Facebook will continue to grow, cloud computing via applications will generate far more revenue than operating systems, software and hardware. What all of this means is that Google must successfully nail a social strategy or even it’s mobile plays will cut into it search ad revenue. Microsoft may be in big trouble as it clings to shrinking government and enterprise installations too big to move elsewhere. Small business can and should seize the opportunity to claim low cost operating efficiencies found in the cloud. Marketers must find effective ways to play in social networks. Resistance to mobile tactics such as location ads, text messaging, and mobile applications must erode as they become the preferred method of content and information consumption. 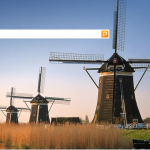 Microsoft’s relaunched search tool, named Bing, came live this week and I think there’s a lot to like about it. The primary focus it seems is to reposition how we use and interact with search results rather than simply try to do a better Google. But, in doing so, perhaps it will create a better experience too. 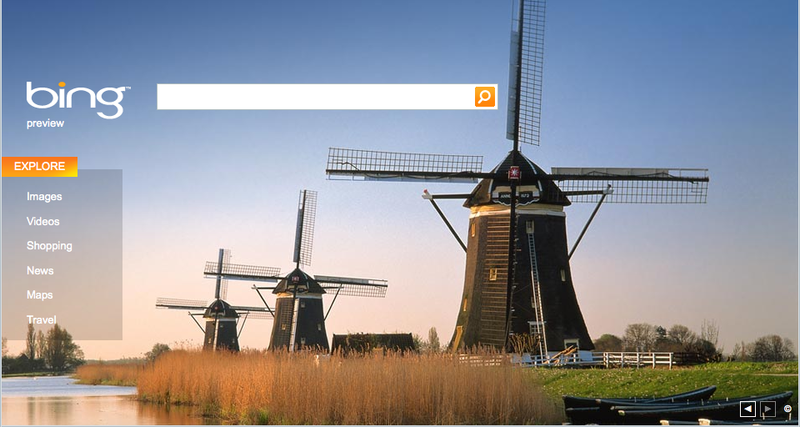 Travel is another important focus on Bing. You can bring together airline and hotel searches with price comparison and ratings and reviews. The look and feel of the travel portal is much more like that of an online travel agency than a search engine. You can even get the latest travel deals by following @fareologist on twitter. Local search seems to get the short end of the stick. You can perform a local search and get results for local business much like you could via MSNLive Search. But, you must click on the local results tab to drill down and sort and filter your search by things like ratings. I was hoping this functionality would be more front and center. It’s worth checking out and I plan to work the travel site pretty hard to see what it turns up. The Software as a Service (SaaS) model has changed the way small businesses are going to work and led to the creation of thousands of start-ups offering web applications for every imaginable aspect of running a business. Then Google Docs came along and even created SaaS offerings for the last bastion of the desktop software model – the word processor, spreadsheet, presentation and contact tools – otherwise known as Microsoft Office to most. I do think many started questioning the viability of Microsoft’s desktop software hold. The conventional wisdom is/was that Microsoft should just cave in and put it all up in the cloud and become the SaaS that they know they should be. But then, let’s not forget the millions upon millions of individuals who aren’t computing in the cloud too much, sort of don’t trust the cloud too much, and may never really want everything there. Microsoft’s model seems to be making more and more sense and so does their moniker – Software + Service – the notion of enhancing the desktop suite you know and sometimes love to hate with web applications that extend the functionality and reach. Look, I like Microsoft, they’ve been great to work with, but I’m also painfully aware the rudder can seem stuck when it comes to the ever changing needs of the small business, but I think they actually may be getting around to getting this right. And now they are inching towards the launch of something they are calling Office Web applications. This will live inside of Office Live and give users the ability to create online documents, presentations, and spreadsheets, much like Google docs, but with the seamless ability to use those same files offline inside the Office desktop applications. Personally, I think this will have broad appeal to many Office users who don’t want to be tethered at all times to the web, but do realize the power of online sharing and collaboration. Now, could this have been launched two years ago, probably, but the game is still evolving and this looks right, right now. OfficeLive Small Business is an ambitious and almost overwhelming omni application. For some it may be attempting to do too much. But one thing I like about it is there are lots of nuggets buried inside it that can offer some real and immediate benefit, even if you don’t try to integrate the service in its entirety. One of those nuggets is called FolderShare and once you set-up a free account, download the Mac or PC software, and give your customer or whomever you choose access to the online folders you create you can work on a file or your customer can work on a file and the most current version will be saved in one place. This way you can open the online file using your desktop version of your software and so can your customer, but the most current version will always be up to date in the folder. You can set it up so that you canâ€™t both work on the file at the same time. Disclaimer: I’ve done paid workshops for the OfficeLive Group but like all things I recommend, this is a service I love, promote and use in my own business. Office 2007 represents some very significant changes for Office users. Most notably is the ribbon menu presentation. Using this new feature is pretty frustrating at first, not because it’s not better, because you have to unlearn the programs a bit. In the end, I like the changes, they put more power at your fingertips and offer a lot of new tools. One of my favorite finds is in PowerPoint. PowerPoint has a new tool called SmartArt. SmartArt gives you the ability to create eye-catching graphics that present relationships, matrixs, cycles, pyramids, hierarchy and processes by simply typing your core words and selecting some simple formating. The end product makes for some very nice graphics that aid in the telling of your story (The image above is the Duct Tape Marketing Customer Life-Cycle brought to life. – click the image to get the full impact). What I like about it most though is that you can take the created graphic and save it as one of a number of very web friendly formats. This feature allows you to very easily create smart images for web pages. There are lots of ways to create graphics like these, but I like easy! Care to share some of your marketing and productivity related finds in this massive upgrade? Frederic DeWulf , Web Director of Microsoftâ€™s Small Business division, talks about the Small Business Summit in this mobile Duct Tape Marketing post. Learn about the history of the event and the best way to get the most by participating. I am opening up the four day long Microsoft Small Business Summit today at 9am PDT. Check out the programming guide and tune in regularly this Monday through Thursday. Make sure you register so you can view the archives months after the live broadcasts. Next month I am participating in a workshop tour called Vision to Venture – The Event for Women Entrepreneurs. The 5 city tour is sponsored by Microsoft Office Live Small Business and will involve a day long presentation of strategies for start-up success. I will share the stage with my friends Susan Solovic Wilson of SBTV.com, Rich Sloan of StartUpNation.com, and Karen Dayan of Microsoft. I sure hope to meet some Duct Tape Marketing Women Entrepreneurs in each stop on the tour. The event is $59 and you can sign up here. Microsoft Office Live Small Business, a suite of online tools aimed squarely at the small business, went live today with a pretty significant upgrade to the already powerful tool. Office Live allows you to easily create and host a website as well as manage contacts, schedule meetings, share documents and projects and integrate online ads from MS adManager all online, all with one username. The services come in three flavors and prices, but a great deal can be had for free. Perhaps most significant for some potential users is support for the Firefox browser. This makes the service available to Mac users as well as the growing number of PC users that rely of Firefox. This offering merits a good hard look, even if you’re already online. In an increasingly related note, Yahoo announced unlimited storage and hosting for it’s small business web hosting accounts for $11.95/mo. Disclaimer: I am participating in a round of workshops aimed at women entrepreneurs this spring. The workshops are hosted by Office Live Small Business.